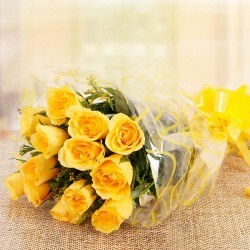 Send Valentine Flowers To Mumbai Online and feel confident that you are making your darling love happy. Take the guesswork out of gift delivering and choose MyFlowerTree for an assured and on-time delivery of your floral bouquet to your loved one. Pick from a diverse variety of flowers and be spoilt for choice! Although you should show your love for your partner every day, Valentine’s Day is an extra-special way of doing the same. And, out of all other gift items, one thing that actually helps you in conveying your love, care, and affection for your special someone is flowers.Yes, a bunch of gorgeous flowers can spell the cast of your love in your beloved’s heart within a second. So, if you are a Mumbaikar who is looking for a beautiful way to make his beloved feel special on February 14th then, send Valentine flowers to Mumbai for her from MyFlowerTree. Also known as the “City of Dreams”,Mumbai is one of the most popular metropolitan cities in India. Being the film capital of the country, the Mumbaikars celebrate every special occasion in a filmy style i.e, with great pomp and show especially when it comes to celebrating Valentine’s Day, everyone takes clues from the famous Bollywood movies wherein, the hero showers roses or gives a bunch of roses to impress the heroine, making it a fairy-tale dream. 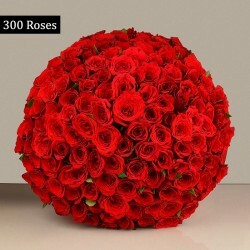 MyFlowerTree presents you all a wide variety of Valentine flowers that you can order online in Mumbai from the comfort of your home. From gorgeously arranged roses to lilies, carnations to orchids, all our Valentine flowers are arranged beautifully with utmost perfection. Whether you are looking for a luxurious box arrangement of Valentine flowers or basket arrangements or cellophane packed bouquets or heart-shaped flower arrangements, there are a variety of Valentine flower arrangements to choose from. So, if you want to hear a yes from your crush on this Valentine’s Day then, send Valentine flowers to Mumbai online to her doorstep via our online flower delivery service. 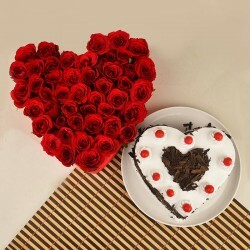 People who are in a long-distance relationships often find it difficult to celebrate Valentine’s Day together. 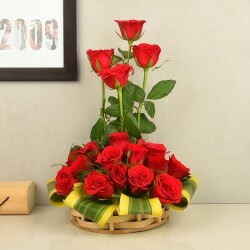 But, no more with our Valentine flower delivery in Mumbai. 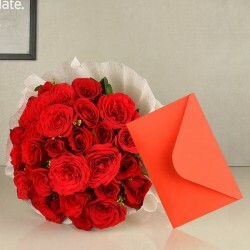 If you are dating a boy or girl from the Bay then, you can send Valentine flowers to Mumbai online for him or her from anywhere. 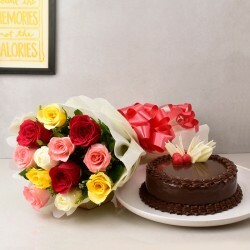 To make your Valentine surprise for your beloved even more special, you can also send Valentine cakes to Mumbai along with a bunch of flower from us. 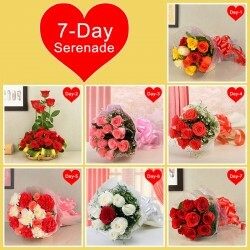 So, this Valentine’s Day, let our breathtaking flowers infuse happiness, laughter, and romance in your love life. We know that people don’t tend to trust or rely on online gift portals because of their poor quality of product and poor delivery service. However, we, at MyFlowerTree, believe in providing 100% satisfaction to our customers in terms of quality products and delivery services. We provide delivery across India in more than 350 cities and abroad as well. 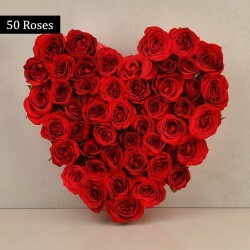 By choosing our online Valentine flower delivery, you can now send Valentine flowers to USA, UK, UAE, Australia, Canada, Sweden, South Africa, Malaysia, and in many other countries. 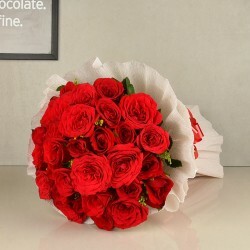 With the aim of providing our customers a hassle-free and fast delivery service on Valentine’s Day, we ensure same day delivery through which now you can send Valentine flowers to Delhi online or wherever you want to. Products in this category have been rated 5 out of 5 based on 130 reviews.